After teasing the press with a puzzle poster ahead of the official April 19 launch date, Valve Software has released their first-person action puzzler Portal 2. The game was released on the Mac and PC via digital distribution service Steam, in addition to versions for Xbox 360 and PlayStation 3 that are available through their respective stores. More details after the break. 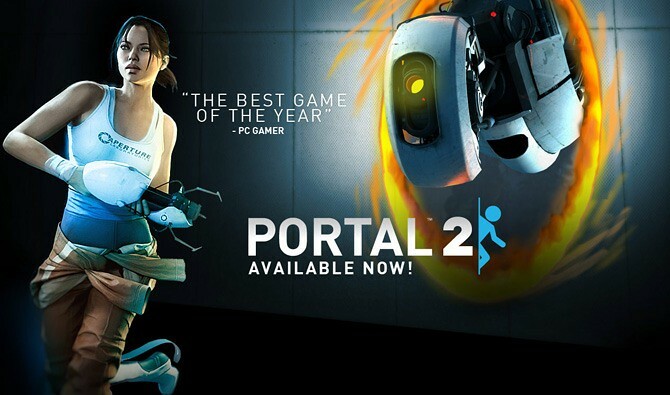 The $49.99 game follows the same formula that made the original Portal so popular. You are still in a futuristic world, making your way through vast labyrinths and huge rooms that puzzle with seemingly impossible designs. You can move objects and open so-called portals between rooms by using your portal gun. According to MacRumors, early impressions by the users of their forums are impressive and the games is said to run smoothly with maxed out details (except antialiasing) on a 2011 15″-inch MacBook Pro with the AMD 6750 graphics.